Boost your sales! Add storm and security sales to your product line. Here’s how! At Empire Construction and Development, we provide the safest hurricane shutters and storm protection products on the market. We carry many types of Miami-Dade and Florida Building Code approved hurricane protection products including: Accordion Hurricane Shutters, Rolling Hurricane Shutters, Bahama Shutters, Colonial Shutters, Aluminum and Clear Storms Panels, Hurricane Fabric and Impact-Rated Windows and Doors. Customers can count on us for the best selection of storm shutters to fit any window or door- no matter what size! The customization of our products allows our customers to choose from different colors, styles, and features. We provide top quality products to our customers and excellent customer service and assistance. Not only do we have a large selection of shutters and other storm protection products, but we also ship to many locations nationwide and around the world. We are your one-stop-shop to securing your home, business, and any other type of building! We are currently seeking motivated shutter distributors, installers and anyone interested in joining our referral program. We offer three different programs to help you increase profits and to protect people’s homes and businesses from the damaging results caused by severe storms and hurricanes. Taking part in one of these programs from one of the largest and most technologically advanced shutter manufacturers in the world allows you to be confident about the products your clients and friends are purchasing through you. The Empire Construction and Development team has more than thirty years of experience in design, sales, manufacturing, and construction. You can feel confident knowing that your customers are being provided with the absolute best products available! Not only will you have peace of mind, but you will also have the opportunity to increase profits and your customer base! Our Installer Network program is the perfect program if you have experience in construction or carpentry work. We will provide you with leads to people who need their shutters installed. If you aren’t fully confident in your knowledge of shutter installation, don’t worry; we will provide you with all the necessary materials to ensure you know exactly how to install our products correctly. Our Referral program allows you to refer anyone you know that needs building security and storm protection. By referring clients to us, you will earn a commission when they purchase any one of our many reliable products! We make it as simple as possible for you by having referral links that are easy to share on any social media platform, email, or even by referring over the phone! Once a referral is made, we will take care of the rest. No need to worry about any of the manufacturing or shipping! Becoming a distributor is one of the best ways we can offer security to people all over the world! We are currently accepting applications from interested distributors or contractors who have an established business and the ability to sell our top-notch products. We can provide you with everything you’ll need such as professional marketing materials, brochures, working samples, installation directions and pricing on all our products! You simply add our products to your product line and you are ready to go! We can ship products to you or directly to your customers. If you or your customers live in a location where severe weather conditions or break-ins are a common threat, then you’ve all witnessed how homes and businesses can be destroyed by such mayhem. Whether you are in a coastal city or in the middle of the country, building security is needed everywhere! Help Empire Construction and Development prevent property damage all over the world by joining our shutter distributorship program and offering your customers reliable and affordable security when they need it most. If you are ready to increase your revenue stream, consider joining any of our programs today! You can apply online or call us today to get started! Posted in Accordion shutters, Bahama shutters, Business, Colonial shutters, Hurricane Shutters, Hurricane Shutters Distributors, installers, Storm Shutters | Comments Off on Boost your sales! Add storm and security sales to your product line. Here’s how! New Orleans is known for its delicious cuisine, colorful festivals, and unique architectural style along the French Quarter. New Orleans is rarely remembered as the city that struggles through tropical storms each year, yet unfortunately, this is the city’s reality. Preventing damage to the beautiful scenery in New Orleans is important to everyone who lives there and for all of those who plan to visit. Owners should be proactive in keeping their buildings safe throughout hurricane season. Storm shutters, storm panels, and impact-resistant windows are just a few of the products available to protect buildings from damage caused by intense hurricanes and storms. Empire Construction and Development is one of the top manufacturers of storm shutters in the country. Located in Sunrise, Florida, it is one of the best sources for storm and security products. For residents and business owners seeking durable and reliable protection for their homes, businesses, Empire Construction and Development offers affordable options to those in hurricane-prone areas. Empire Construction and Development has a great selection of custom-made storm protection products for any window or door – regardless of the configuration or size of the openings! Our shutters are available in many different colors and styles to fit every budget. Empire Construction and Development is now accepting applications from dealers in the New Orleans area who would be interested in partnering with us in our distributor program. This program helps local businesses or private contractors in New Orleans keep their current and future customers safe throughout the hurricane season! By becoming a distributor, businesses will be able to add Empire Construction and Development’s entire product line to their existing catalog offerings to grow their revenue stream and customer base. Their customers will be able to conveniently access our top-quality products through you and at an affordable price. Using our online price tool, you can help your customers select the shutters they need and we will handle shipping their storm products to the location of their choice. We are looking to connect with businesses who have already established connections and customers in the New Orleans area and who are motivated to provide them with the absolute safest hurricane protection products available! Becoming a distributor is pain free and simple! Empire Construction and Development can provide you with all the necessary materials to maximize your business and profits. Marketing materials, product samples, installation instructions and quotes for each product are available to all participating distributors! Our shipping options allow each business to choose a method that works best for them. Any business who decides to become a distributor of Empire Construction and Development in New Orleans will have the opportunity to increase their revenue, customer base, and reputation. Our main goal is keeping people across the country safe, but keeping customers and businesses completely satisfied is extremely important to us as well. Taking part in the dealer/distributor program from one of the world’s most technologically advanced shutter manufacturers gives businesses in New Orleans piece of mind. Our distributors can feel safe knowing they are selling to their customers, the most trusted products on the market. New Orleans is a lively, happy place to live and visit. Empire Construction and Development wants to keep it that way for many years to come. Help us protect the beautiful city of New Orleans by becoming a shutter distributor today! The time is now! This is the moment you have been waiting for, the chance that is knocking on your door. You don’t want to let this opportunity slip through your fingers. How many times have you kicked yourself for missing out on something that was staring you right in the face? Don’t let this be one of those times. We are looking for dealers in Georgia who want to have a career working for themselves. Haven’t you been thinking about working to make money for yourself instead of someone else? Dealers are out there right now making their fortune selling hurricane shutters and you can still get in early enough, if you act now. The time is now to work for yourself and create a business for yourself, working on your own time. We are a leader in custom built Hurricane Shutters, Security Shutters, Decorative Shutters, and other Storm Protection products. We build and ship hurricane shutter products nationwide and around the world. We carry all types of Miami-Dade and Florida Building Code approved hurricane protection products including: Accordion Hurricane Shutters, Rolling Hurricane Shutters, Bahama Shutters, Colonial Shutters, Aluminum and Clear Storms Panels, Hurricane Fabric and Impact-Rated Windows and Doors. Anywhere that hurricanes are a threat, there is a need for dealers. The demand for hurricane shutters in Georgia has been growing significantly and distributors can profit from this demand by adding shutters an existing product line or by becoming a shutter distributor. Every year, it seems, hurricanes are becoming more frequent and Georgia has found itself in the path of these dangerous storms. There are many homes and commercial buildings still left unprotected and people who are seeking advice and recommendations. Many of the owners are suffering from lack of knowledge more than anything else. We haven’t been able to access these people, but you can. You can help people in your community while making money. Life doesn’t get much better than that. Storm shutters will help your customers not only protect against storms but also a crime and other types of property damage. This business sells itself. The need for this protection is always there as long as weather exists. If you have the time and desire, you can make the business work for you and we give you support from beginning to end. We are there to help make your business work for you. When you decide to become a distributor for us, we can recommend you to people in your area and give you advice as to where you can find customers. Empire Construction & Development can also ship to your customers worldwide. If you have ever thought about owning your own business, then becoming a shutter distributor can help you achieve your dream! We use our network to provide you with the resources you will need to get started. We have marketing materials and product samples and we will instruct you on the best ways to market your business. Seriously, what are you waiting for? Go on and follow your dream. Here are some answers to questions that people just like you have asked before they got started. Call us now at 888-474-3555 and let us help you to become a successful Georgia storm shutters distributor. We want to help you to work for yourself. Call now, your dream is at the end of your phone. If you want to get into the hurricane protection business in Virginia, there is currently a huge demand for distributors of hurricane and storm shutters. If you already sell shutters, you can significantly expand your storm protection product line. You can make more money this year with new and increased sales of high-quality hurricane shutters as part of Empire Construction & Development’s hurricane shutter distributor program in Virginia. How does it work? We at Empire Construction & Development are leading manufacturers of custom-built hurricane shutters. As part of our worldwide shutter distributor network, you will be able to provide your customers with our hurricane shutters and storm shutters. We will build the hurricane shutters your customers need — to your specifications — and ship them. We can help you get started selling hurricane shutters in Virginia or add our shutters to your existing product offerings. As a shutter dealer/distributor for Empire Construction & Development, we can provide you with business cards and other promotional materials, product information, working shutter samples, and more, so you can become a top distributor of hurricane shutters in Virginia. and more on our website: HurricaneShuttersFlorida.com. When you need great prices for hurricane shutters in Virginia, choose shutters made by Empire Construction & Development. As one of our shutter distributors, we can give you price quotes when requested, and you can also use our online quoting tool to get a price for shutters in the sizes you need. To sell affordable hurricane shutters in Norfolk, Virginia Beach, Newport News, Hampton, Richmond or throughout Virginia, join our shutter dealer and distributor network. When you need shutter installation in Virginia, we also have a shutter installer network. If you are a contractor, handyman, or other building professional and you’re interested in becoming part of our shutter installer network, call us at: 888-474-3555 for more information on becoming a hurricane shutter installer. When you need to increase your stream of income, start selling hurricane shutters made by Empire Construction & Development. Hurricane shutters provide excellent storm protection for homes and commercial buildings, and can be used on windows, doors, patios, storefronts, and other openings on a building. All types of buildings in Virginia need hurricane protection, and you can be the one who customers come to for the hurricane shutters they need. From Alexandria to Virginia Beach, you can help future customers in your area protect their homes and businesses from hurricanes as a distributor of top-quality hurricane shutters. Call: 888-474-3555 to find out more about becoming a shutter distributor for Empire Construction & Development, or sign up now to get started. Increase your stream of income and become the top distributor of hurricane shutters in Virginia as part of our shutter distributor network. You want to see more customers coming into your business. You want to make more sales. You want your business to be doing even better than it was this time last year. Think big, expand your product line, and get into selling storm and protection shutters in Florida. Hurricane, storm, and security shutters are needed on homes and businesses throughout the state, and you can start selling these shutters to your customers when you become a part of Empire Construction & Development’s Florida shutter distributor network. What kind of shutters can I sell as a shutter distributor? Take a look at all of our reliable and affordable storm protection products here. We can also help you sell storm panels, clamshell awnings, hurricane fabric, and impact windows in Florida. Provide your customers with the products they need for storm protection and window and door security when you become a shutter distributor for Empire Construction & Development. How can I sell impact-rated storm shutters in Florida? If you’re going to sell shutters in Florida, make sure that they’re built for hurricanes and other strong storms. Our shutters are engineered to withstand high wind speeds, impact, and other dangers. Our shutters are built to adhere to the toughest wind codes in the country. And our shutters are made of strong aluminum to hold up in all kinds of weather. For more information about wind codes, building codes, product materials, and finding the right storm and protection shutters in Florida, call: 888-474-3555 to speak to one of our shutter experts. What is the fastest way to become a shutter distributor and increase my revenue? Join our network of shutter distributors! As a shutter dealer/distributor for Empire Construction & Development, our product line will be available to you. We can provide you with promotional materials, access to our online quoting tool or over-the-phone price quotes, and working shutter samples. We handle the manufacturing (custom built to your and your customers’ specifications.) We handle the packaging and shipping. You handle your increase in customers and revenue. 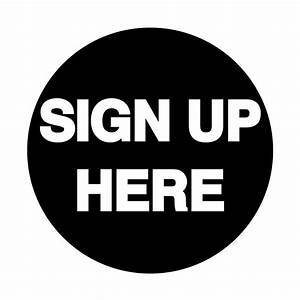 To become a shutter distributor in Florida, call: 888-474-3555 or sign up now. Increase your revenue this year by becoming a Florida shutter distributor for Empire Construction & Development. The Atlantic hurricane season begins each year on June 1st and ends on November 30th. On average, 12 tropical storms, 6 of which become hurricanes, form over the Atlantic Ocean, Caribbean Sea, or Gulf of Mexico during the hurricane season. For those of us who grew up in hurricane-prone areas, we know that the season can begin much earlier or end much later. Although South Carolina has experienced fewer hurricanes than other coast cities along the eastern seaboard, it is still quite vulnerable to extreme weather and can suffer the damaging effects of severe storms. On Oct. 8, 2016, Hurricane Matthew was the most powerful storm of the 2016 Atlantic Hurricane Season. This devastating hurricane resulted in 25 deaths and caused extreme rainfall and deadly flooding. And yet it was only documented as a category 1 storm. As you can see, a hurricane – regardless of its category rating, can cause significant and tragic loss of life and property damage. According to historical weather records, one to two hurricanes make landfall on the East Coast every year, and of those, at least 11% of them reach South Carolina. In a time where we are seeing more frequent and intense storms, South Carolina residents are becoming more aware and more savvy about protecting their loved ones and their possessions. South Carolinians are no longer waiting until the last minute to prepare for the potential threat of major weather conditions. Running to the hardware store for plywood as a storm approaches is stressful and dangerous. Long lines waiting for wood followed by perilous attempts to secure heavy lumber while dangling from a ladder is the last thing anyone wants to do when a hurricane is threatening. That’s why, now more than ever, there is a huge demand for Hurricane shutter distributors in the Carolinas. If you have been thinking about adding shutters to your product line, there’s no better time than today to join our team of hurricane shutter distributors. All you need to succeed is the desire to help people and the willingness to work with Empire Construction & Development. Our distributors get exclusive access to our worldwide shutter installer network and can earn additional revenue for their company. We will also provide you with leads for shutter purchasers in need of shutter installers, plus training materials and detailed instructions on how all of our products are installed. At Empire Construction & Development, we know that everyone’s budget requirements are not the same and because we cut out the middle man, we can reward our dealers and their customers with huge savings. When you don’t have the added expense of a brick and mortar overhead or space for storage, your money stays in your pocket. Give us a call and let us show you how to grow your shutter business in South Carolina. We have the contacts and the know-how plus first-hand knowledge of how to develop a successful shutter distributorship in your area. Our attractive marketing materials will help you promote your shutter business and include brochures for each product type plus product drawings that can be downloaded and printed directly from our website. For a minimal upfront fee, we will send working samples of our products. 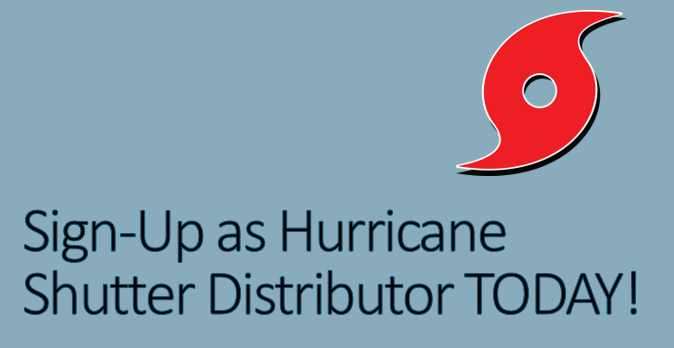 Hurricane shutter distributors in South Carolina are in demand. Isn’t it about time you get in on this lucrative opportunity to expand your income stream? When you become one of our shutter distributors, we will do absolutely everything we can to help you succeed. You will have an entire team behind you to help you maximize your business. Grow your South Carolina business TODAY by becoming a distributor of quality storm and security shutters. You are only one phone call away from growing your business. Call 888-474-3555 and become an independent business distributor, or sign up today on our website. From the coast of Maine to the Florida Keys, there are few cities and towns on the East Coast that aren’t in danger of being hit by a hurricane. These unpredictable, powerful storms can do a lot of damage to homes and buildings. If your customers live and work on the East Coast, you should become a hurricane shutter distributor for Empire Construction and Development, the leaders in hurricane shutter manufacturing. Why should you start distributing hurricane shutters on the East Coast? *Hurricane protection is a priority for people living and working in coastal areas. From big cities to small towns, everyone wants to protect their property during a storm. With high-quality hurricane shutters installed on their homes and commercial buildings, you can help homeowners and business owners in your area keep their buildings safe during a hurricane or other hurricane. The custom-made shutters from Empire Construction & Development not only provide top-quality hurricane protection, they also protect against damage from tropical storms and other seasonal storms. So when everyone living in your area needs storm shutters, make sure they come to you to buy them – sell the best hurricane and storm shutters available from HurricaneShuttersFlorida.com as part of our distributor/dealer network. *Hurricanes could strike at any time during hurricane season. For almost half of each year, hurricanes and tropical storms are likely to form in the Atlantic. When these storms make their way to the eastern coast of the US, many heavily-populated areas may be in the projected paths of impact. Permanently installed storm shutters — like our accordion hurricane shutters, rolling hurricane shutters, colonial hurricane shutters, and Bahama hurricane shutters — allow homeowners and business owners to quickly and easily secure their windows, doors, patios, and more. Our easy-to-use shutters will be great for your customers. *Hurricane shutters make great security shutters too. Our strong aluminum shutters can be used year-round for home security and overnight protection for commercial buildings. Shutters from Empire Construction & Development provide excellent security for homes, hotels, restaurants, warehouses, office buildings, retail stores and storefronts, and other buildings. By selling hurricane and storm shutters made by Empire Construction & Development, you’ll be able to expand your product line, grow your shutter business, and attract more customers. At Empire Construction & Development, we manufacture shutters that help our customers throughout the US and around the world protect their homes and businesses from storm damage. Based on the East Coast of Florida, we know what it takes to make hurricane shutters that hold up during storms. To start selling our impact-rated hurricane shutters as a shutter distributor, call: 888-474-3555 or sign up now. Help your customers living and working on the East Coast get the storm protection they need by becoming a shutter distributor for Empire Construction & Development. Is it time to diversify your business plan and increase your revenue stream? Perhaps you’ve been wanting to develop and grow your residential and commercial contracting business. Or, maybe you’ve had numerous customers in Florida inquiring about where to purchase storm shutters for their home or business. Whether your customer base consists of builders, contractors, developers, or home owners, why not increase your product line to meet the high demand of individuals seeking quality hurricane protection and security shutters in Florida? You’ll not only satisfy your current customers, but you will also attract new leads and patrons to your business. Plus, just think of the added income you could generate. Empire Construction & Development specializes in custom storm shields for any window or entrance, no matter the size or shape. Our products are proudly made in the U.S.A. and we are a direct resource of superior products and experience, not only for home and business owners, but architects and builders as well. HurricaneShuttersFlorida.com, is our flagship website that has been attracting over 100,00 visitors annually. We are a top provider of custom-built Hurricane Shutters, Security Shutters, Decorative Shutters, and other Storm Protection products that we manufacture and ship nationwide. We carry all types of Miami-Dade and Florida Building Code approved hurricane protection products including: Accordion Hurricane Shutters, Rolling Hurricane Shutters, Bahama Shutters, Colonial Shutters, Aluminum and Clear Storms Panels, Hurricane Fabric and Impact-Rated Windows and Doors. We are currently seeking contractors, dealers and distributors who would like to join our distributorship program and add hurricane shutter protection systems to your existing product line. In addition to adding our complete line of storm products, you will also be granted access to our worldwide shutter installer network and earn additional revenue for your company. We will provide you and your customers with installer leads and provide training materials on how all our quality products are installed. We also offer our distributors marketing materials including business cards, brochures for each product type, and product drawings that can be downloaded and printed directly from our website. For a minimal upfront cost, we will provide working samples of our products that are ready to ship. Our website has a convenient Quoting Tool you can use for giving shutter quotes to your customers. You then simply apply your assigned “multiplier” to the cost of the completed shutters. Shipping costs are generated based on the weight of the purchase order and the destination of the delivery in relation to our headquarters in South Florida. We even have a generous referral program whereby you can earn lucrative commissions by referring your your friends, neighbors, and family to our products. When they complete a purchase from our website or call and order over the phone, you’ll earn a commission. We’ll provide you with a referral code for word of mouth marketing and links that are easy to share on Facebook, Twitter, and through email. All you need to do is refer customers to our site and we will handle the shipping. It doesn’t get any easier than that! There is absolutely no cost to join our distributorship program in Florida. Our only requirement is that you are a certified professional or company that is capable of selling and installing our products. 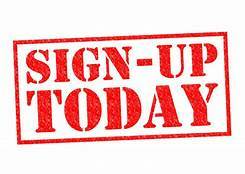 Just sign-up here and we will contact you by the next business day to get you started. We look forward to hearing from you! Let us help you develop your shutter business! Dealer price breaks available! Like many who grew up in places where high winds and torrential rains are expected during hurricane season, when a hurricane is forecasted, regardless of the storm’s category strength, we do what we have to do to protect ourselves, our loved ones and our property, and then we move on. This is just the way of life for residents living in hurricane-prone cities. We also know that the key to moving on is being prepared in advance of hurricane season. Having shutters ready to go, is just common sense when it comes to staying safe during a tropical storm or hurricane. When you go past someone’s home and they have their windows shuttered, you know that person is serious about keeping their family safe and their property protected. If you are one of these prepared people, then the next mission may be helping others to become as good at protecting their assets as you are. That’s where we come in. Let us help you develop your shutters business by showing you how you can both serve your community and make money doing it. Hurricane shutter distributors are in demand and the industry is growing as hurricanes frequency and intensity seems to be increasing. The threat is a real one so the need for reliable storm protection products in greater than ever before. You would be surprised at the number of homes, business and other commercial properties that remain unprotected during dangerous storms. The more obvious reason for this may be that many home and business owners are uninformed of the real need for shutters and the protection that shutters can provide. Every year, our country is affected by hurricanes and the devastation they leave in their wake. When you make the decision to become a storm and security shutters distributor, your options are wide open, and you will have so many perks as well. We have price breaks for our distributors because after all so that you can provide your customers with the best deals on storm and security protection for their homes and businesses. Empire Construction & Development can ship to your customers worldwide and when you become a distributor for us, we can recommend you to people in your area. Becoming a shutter distributor can change your life and your income – and best of all, we are here to help you make it happen! Our network will provide you with the resources you need to get started and we will continue to support you in many ways. We can also provide you with marketing materials, samples and even advise you on the best strategies to help you market your business. You must ask yourself, what are you waiting for? Are you ready to increase your income stream and become a distributor of quality storm and security shutters? It really is quite easy to get started. Just pick up the phone and let us know you are ready to get started. Here are some frequently asked questions and their answers to help get you started. Dealer/Distributor Program FAQ’s. When you call, our shutter specialist will answer any questions you have about getting started with our products. Call now our number today at 888-474-3555 and say help me to become an independent shutters distributor. Whether you are a contractor, building professional, business owner or you just want to get started in the business, we want to help you to expand your horizons and change your business life, for the better. Call now, you have everything to gain! Posted in Business, Hurricane Shutters, Hurricane Shutters Distributors, installers, Security Shutters, Shutter Distributor, Storm Shutters | Comments Off on Let us help you develop your shutter business! Dealer price breaks available!